Whether you own an outdoor business or frequently find yourself regretting your lunch, most people appreciate the convenience and service that portable toilets offer. At Aimright, we provide exceptional temporary site products to fit your needs, no matter the event or venue. Our mission is to provide those who are spending the majority of their time outside with easy access to a restroom without the hassle. Aimright takes cleanliness and sanitation seriously. Our portable toilets are delivered to your location in excellent condition and rigorously sanitized. Your comfort is our priority, and Aimright ensures that each ordered unit meets cleanliness standards. When you order toilets with Aimright, you won't have to worry about installation or cleaning up after the toilets have been removed. We will quickly and efficiently install the portable toilets at your location, then pump out the waste and remove it. 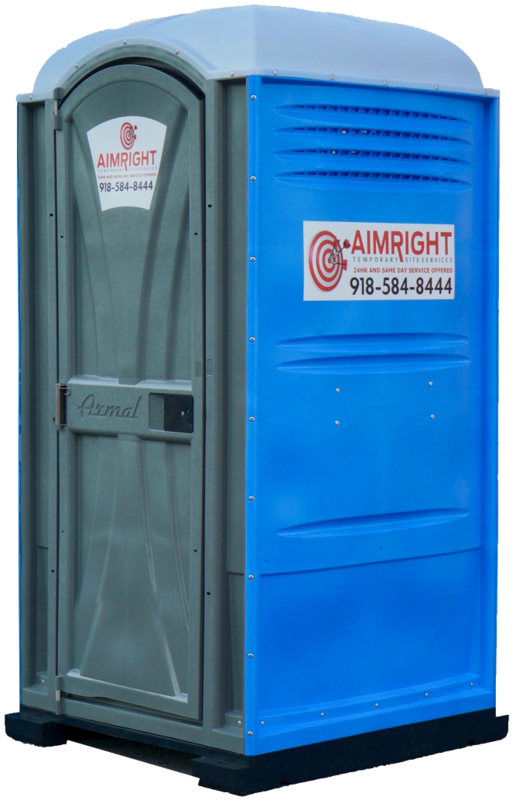 If some of your guests or workers need a more accessible portable toilet, Aimright offers handicapped units. Our handicapped portable toilets are spacious to allow those who use wheelchairs or walkers full restroom access. 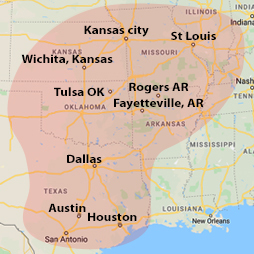 If you are in Tulsa, Stillwater, or Tahlequah, Oklahoma, please feel free to give us a call at 918-233-3575 for a free estimate. We guarantee to provide you with the best quality customer service and products for all of your portable toilet needs. Contact us today to learn more!